Turning in to a closing radius corner signposted at 40 km/h; at around 100 km/h is always cause for sharp concentration – except when you’re driving the S5, with its new torque-vectoring differential, a twin-scroll turbo V6 pushing out 260kW, and the confidence of Quattro all-wheel-drive. Complicate that with driving rain, on a very soggy test drive in the rainforest environment of the Gold Coast Hinterland, and you need to be on your game. Refreshingly, this stunning coupe slides through the sinuous curves with aplomb, and pushes you confidently onto the next challenge. The latest S5 is a very accomplished performer, showing a lot of evidence that Audi AG has no misgivings about its ability to endow a small selection of its range with perfect road manners and scintillating performance. It was Geneva Salon 2007, when I talked with VW Group Head of Design, Walter de'Silva about his latest creation, the A5 coupe. He still maintains that this design is his greatest achievement, in form, surfacing and subtlety. The latest design tweaks to create the 2017 A5 and S5, ensure the coupe remains stylish. 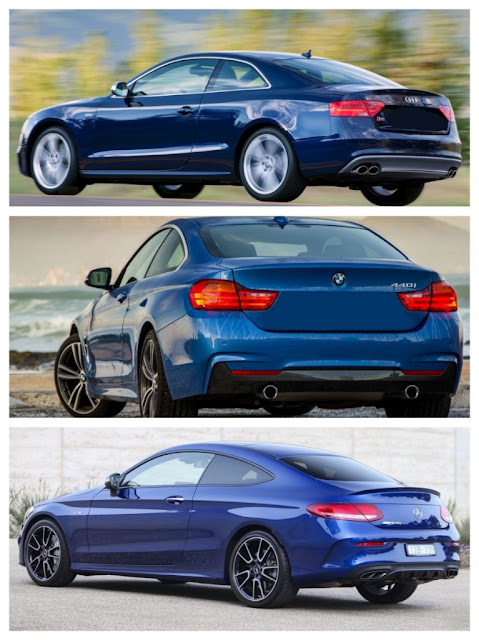 In the Australian marketplace it is a boxed set with the BMW 440i (AUD$99,855) and the Mercedes-Benz C43 AMG (AUD$105,615), and those lucky enough to afford AUD$105,800 for the Audi will not regret their purchase. That said, for me personally, I would opt for the BMW 440i which is just a delightfully-smooth driving car, with all the performance you’re ever likely to need. The S5 is simply just to tempting, to get yourself into trouble with the law. 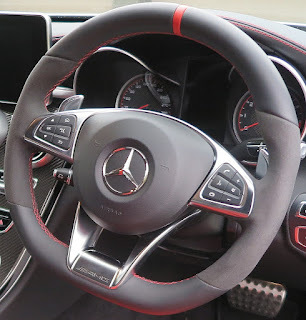 As far as the C43 AMG is concerned, until Mercedes-Benz gets rid of the extremely uncomfortable, suede-covered sports steering wheel I wouldn’t care if I never drove another one. It might be just great on a race circuit, wearing Nomex driving gloves, but on the road, it’s a pain to hold – and I mean, a pain! 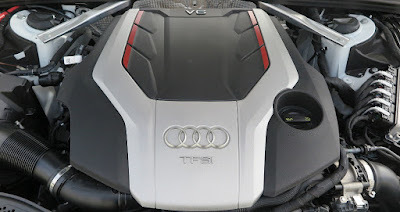 Audi’s 90 degree V6 with twin-scroll turbo nestled in the Vee, is related to the brilliant V10 Audi created for Lamborghini, and it ticks over like a Swiss watch. Torque of 500Nm @ 1750 rpm, is truly amazing, and mated to a torque converter ZF 8-speed transmission, it’s very comfortable to drive in the urban traffic chaos. Despite my expressions of preference noted above, it’s interesting to reflect that Year-To-Date (May 2017) in Australia, Audi sales overall are down almost 25%; and BMW is not far behind, with a fall of 22% - whilst Mercedes-Benz continues to set records, with overall sales up an impressive 18% this year. Specifically, the C Class coupe/convertible models are up a staggering 167%! Please note, that’s for all models from each marque, but there’s no doubt Mercedes-Benz's strong brand image, and willingness to forgo some profit margin, is the reason for its dramatic dominance of the Australian market. Which is further evidence for my long-standing view that if you want to emerge as the ‘dominator’ you need to price more keenly than your competitors. Less margin; more volume; means more visibility on the road, and optics that suggests your cars are better than the opposition – which, QED, sells more cars! 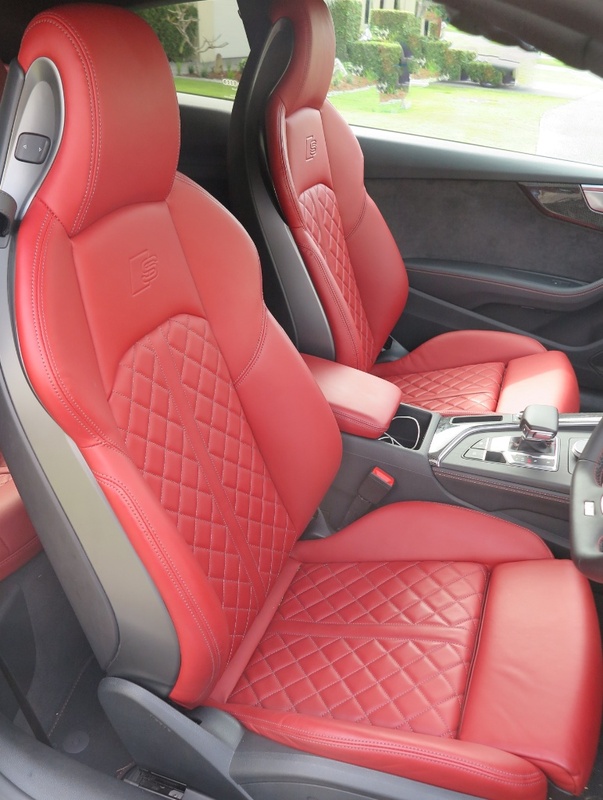 The S5 shows up the fact that at a detail level Audi’s designers, technical and product engineers, and its stylists know exactly where and how to spend their resources to make its cars truly appealing. 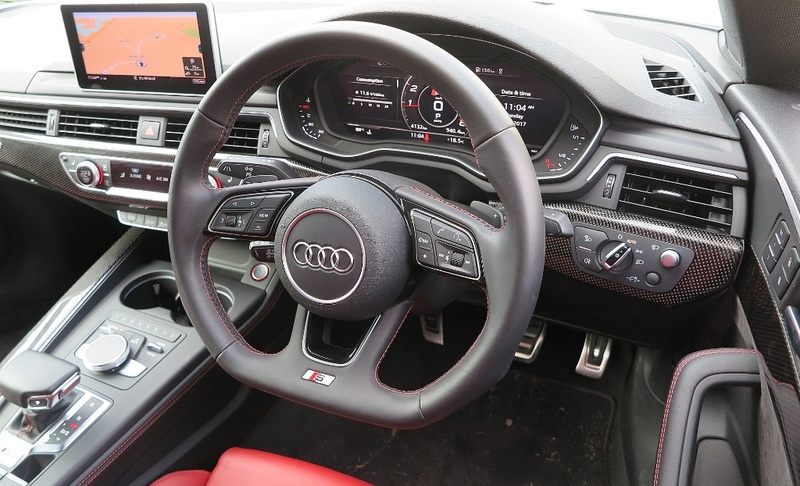 Just sitting in the S5 is a pleasure, and its complement of user-friendly dashboard tech; and mechanical (driving) technology, truly improves the driving experience. When you move off, the ‘software-induced’ crackle from the exhaust pipe reminds you why you paid more than $105 Grand for this baby, but despite my preference for the 440i, the S5 doesn’t disappoint. 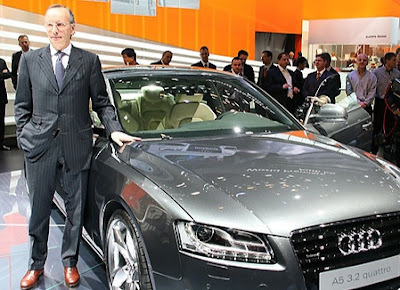 Given my almost ten years working for the VW Group, plus the fact that my company cars were always an Audi from some segment of the range, I still retain a soft spot for the brand – and I think Audi’s brand image definately benefits from a very clear vision of where it sits in the VW Group family. I still wish it played a stronger hand in the trio of top notch Germans, alongside its competitors from Stuttgart and Munich.